As the Empire’s grip tightens, the stirrings of Rebellion begin in the Mon Cala system. Order must be maintained…a job which falls to Vader, his inquisitors…and a man named Wilhuff Tarkin! 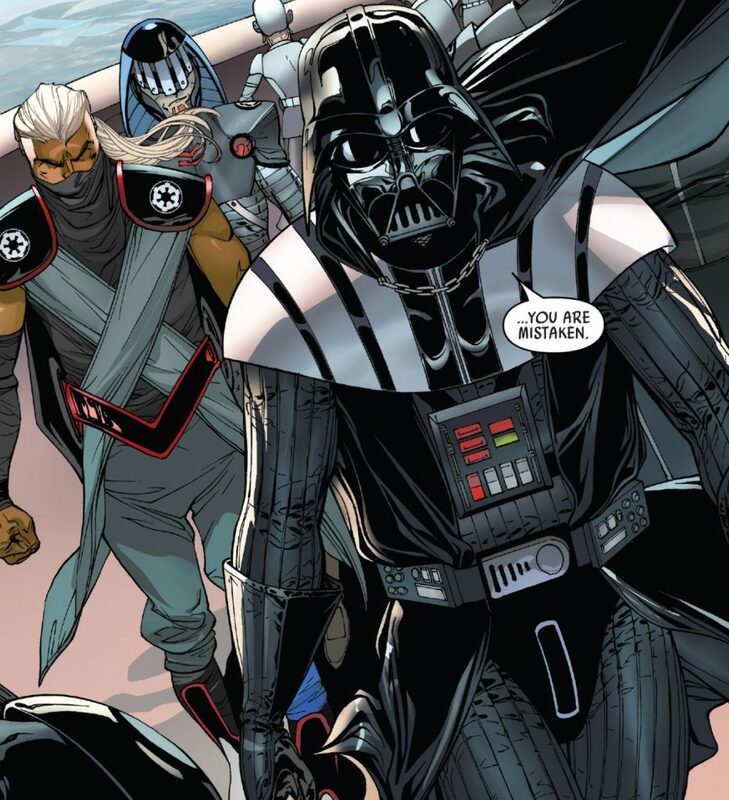 Darth Vader #13 is part one of a new story arc called Burning Seas and it’s one of the few that take a larger viewpoint and plotlines than just those of Vader. At this point, the Empire has been in power for three years but now the Emperor is ready to finally snuff out any doubt that he is in full control of the galaxy. Writer Charles Soule uses this issue for readers to catch their breath from the previous issues with all the action and the breakneck pacing. 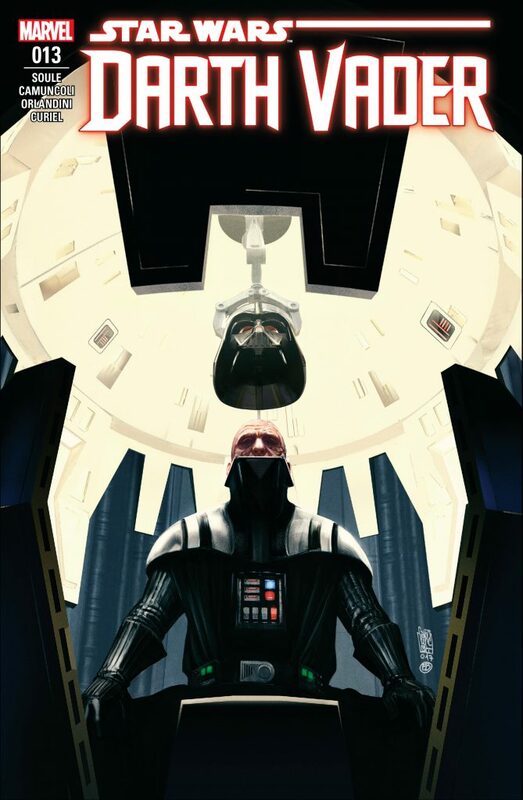 Like the Emperor, Vader is crushing any final glimpses of Anakin and it is illustrated beautifully by artist Giuseppe Camuncoli. Taking the first few pages of Obi-Wan and Anakin’s final battle on Mustafar from a completely different point of view and outcome literally sums up Vader’s ascension. 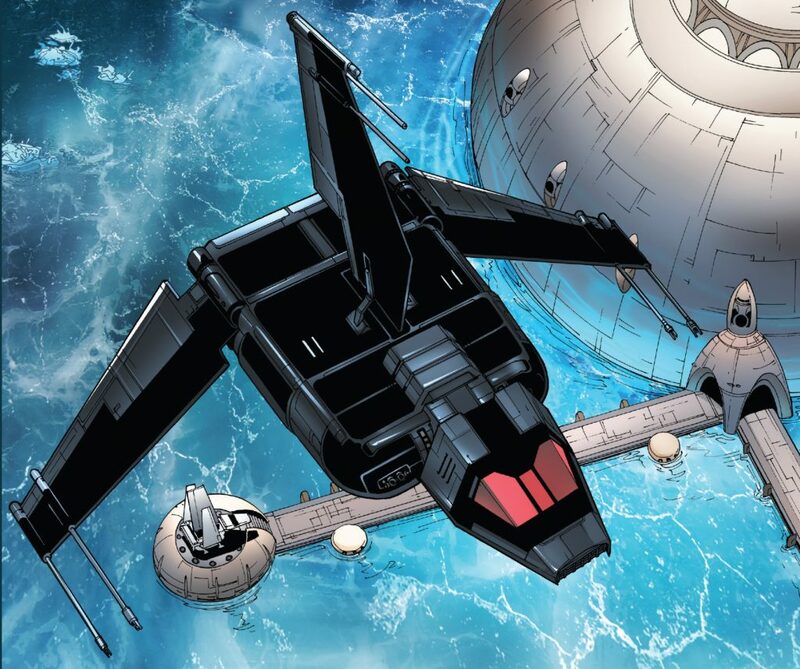 Soule also pairs up Lieutenant Wilhuff Takin with Vader for the first time in a mission to make an example of Mon Cala of the Empire’s complete power. The balance between Tarkin’s diplomacy-first approach and Vader’s overwhelming strength and brutality plays out as politics gives way to utter dominant force. This issue also sets up a possible crossover and parallels with the story currently playing out in the Star Wars standalone title which is more than a bit intriguing and welcome. Tarkin, even though he is just a Lieutenant, feels fully formed as the Grand Moff we all were first introduced as Soule writes him as a brilliant tactician and military leader rather than an up and comer trying to stand apart. The event that takes the mission of diplomacy to takeover is a mystery in and of its self but there’s no mistaking it’s intended purpose, it’s just a matter of who pulled the proverbial trigger. Along with Camuncoli’s opening pages, the rest of his work is still a perfect pairing with Soule’s words. The way he presents Vader with angles and panels to match him in times of power and times of submission shouldn’t be overlooked as it says a lot about the scene without having to say much at all. As written at the beginning of this review, this issue is really a set-up but it doesn’t feel like filler or just something to slow the pace down. There is still plenty of growth of character, just not solely that of Darth Vader, and the ending is a grandiose tease that can’t help pay off massively later on down the line. You’ll be on the hook completely for what’s coming next and it’s a nice bookend to the first few pages of the issue which don’t show much but says everything. As always, Darth Vader is a tremendously good read and now that the storyline is becoming populated with more characters, and how Vader plays off them, it still keeps things fresh and immensely entertaining. Still the best in the Star Wars line of comics.